It supports the proper secretion of digestive enzymes and hydrochloric acid by regulating the proper pH of the stomach. It is a rich source of glucosinolates which contain sulphur. From glucosinolates, isocyanates, thiocyanates and indoles are created, which protect the organism from breast, testicular, bladder and colon cancer. It regulates the alkalinity and acidity of the stomach (a 500 mg dose of the Lyophilisate 30 minutes before a meal prevents the creation of stomach gases). It is the main source of calcium, potassium, vitamin C and selenium compounds. The lactic acid bacteria contained in it are very effective in cleansing the gastrointestinal tract from decay bacteria, which creates perfect conditions for the development of benevolent intestinal bacteria having a direct influence on fat digestion. Cabbage, that has been grown without the use of so-called “chemicals” – pesticides, herbicides and artificial fertilizers, i.e. functional food, combats about 4 cancer lines. On the other hand, the cabbage grown from mineral soils with full chemistry combats one or zero cancer lines. It is a rich source of glucosinolates which contain sulphur. From glucosinolates, isocyanates, thiocyanates and indoles are created, which protect the organism from breast, prostate, bladder and colon cancer. It regulates the alkalinity and acidity of the stomach (a 300 mg dose of the Lyophilisate 30 minutes before a meal prevents the creation of stomach gases). 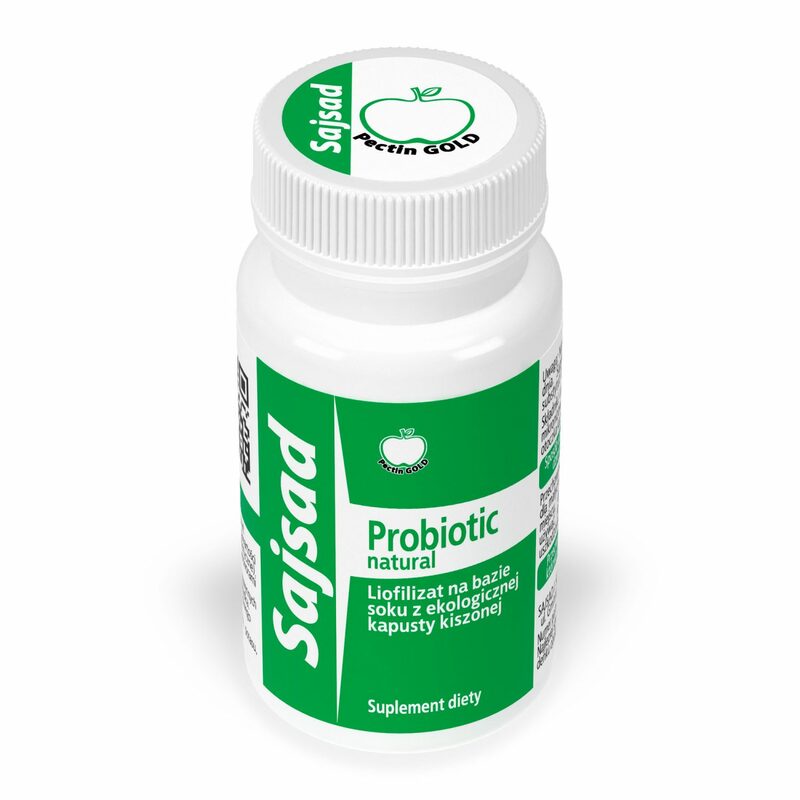 The lactic acid bacteria contained in it are very effective in cleansing the gastrointestinal tract from decay bacteria, which creates perfect conditions for the development of benevolent intestinal bacteria having a direct influence fat digestion. Our cabbage Lyophilisate contains about 2000 cfu/g. Supporting research can be found in an attachment. During the process of cabbage growing, we pay close attention to the content of sugars, so it is lowered to about 5 in the brix scale, and to about 4 pH. Lactic acid bacteria die under 4 pH. 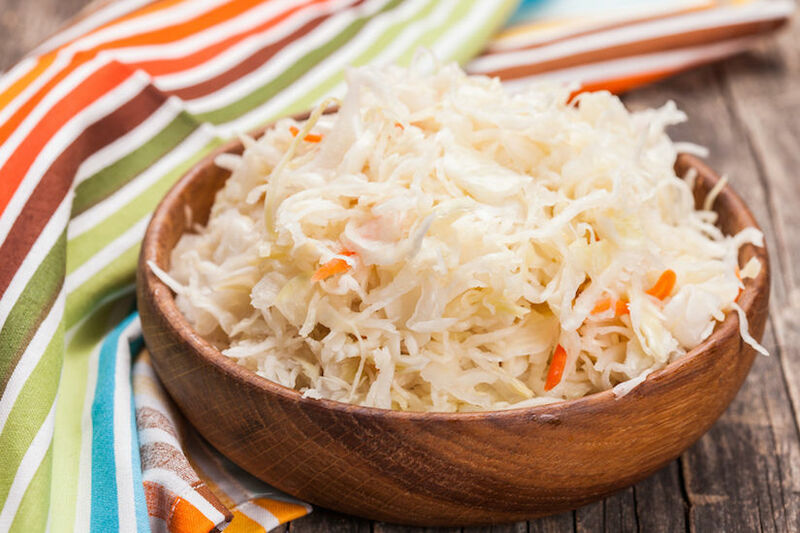 The cellulose casing protects the bacteria in the lyophilisate cabbage juice present in fiber, where fiber constitutes 20% of the content of the capsule. When we drink it fasting with water, we don’t achieve such pH in our stomach, so they successfully reach the small intestine. In case of a healthy person, the Lactobacillus (lactic acid bacteria) occur in the mouth in numbers of 103-107 colony forming units cfu/ml in the ileum, and 104-108 cfu/ml in the colon. The lactic acid bacteria ale very heterogenous G+C in DNA from 35 to 55%. We currently know about 800 species of these bacteria, we can only mark them using a gene sequence. Every person has a different kind and number of bacteria. A sterile organism without bacteria has deformed organs. As stated in their communication, Prof. Ewa Rembiałkowska and Dr. Ing. 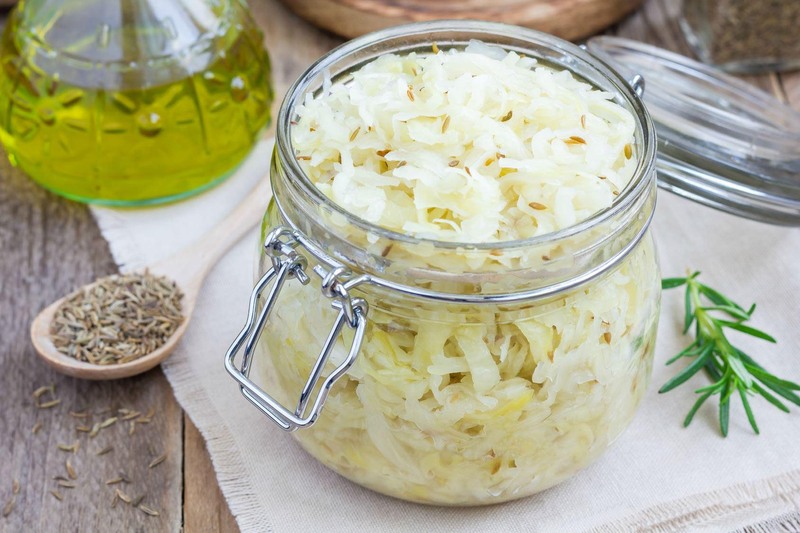 Renata Kazimierczak: Results of research from 2012 show that the content of valuablefrom the health point of view bioactive compounds (phenolic acids, flavonoids) was substantially higher in ecological juice acidified with white cabbage when compared to conventional product. What is more, the dry matter content was the highest in the juice. 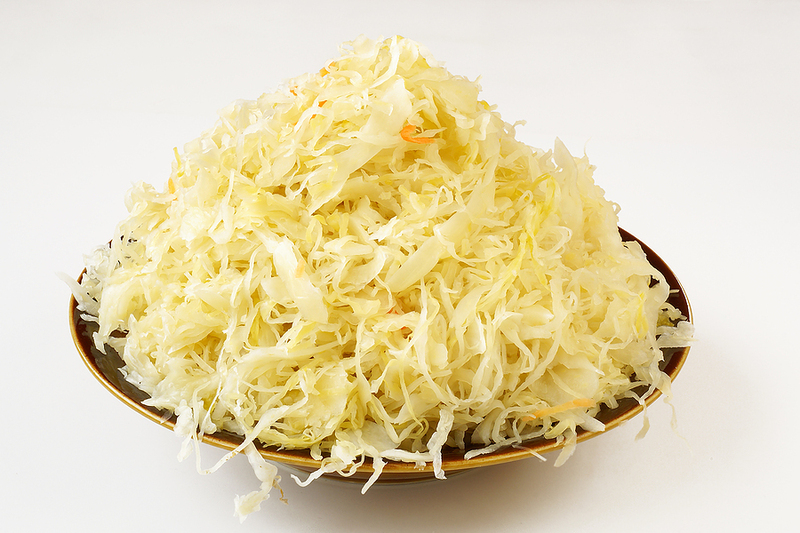 Our cabbage Lyophilisate contains about 2000 cfu/g. Supporting research can be found in an attachment. During the process of cabbage growing, we pay close attention to the content of sugars, so it is lowered to about 5 in the brix scale, and to about 4 pH. Lactic acid bacteria die under 4 pH. The cellulose casing protects the bacteria in the lyophilisate cabbage juice present in fibre, where fibre constitutes 20% of the content of the capsule. When we drink it fasting with water, we don’t achieve such pH in our stomach, so they successfully reach the small intestine. In case of a healthy person, the Lactobacillus (lactic acid bacteria) occur in the mouth in numbers of 103-107 colony forming units cfu/ml in the ileum, and 104-108 cfu/ml in the colon. The lactic acid bacteria ale very heterogenous G+C in DNA from 35 to 55%. We currently know about 800 species of these bacteria, we can only mark them using a gene sequence. Every person has a different kind and number of bacteria. A sterile organism without bacteria has deformed organs. It’s bacteria that produce bioactive substances and vitamins – when those are fed the information goes to the brain that they are replete with food. Meat does not constitute culture medium for bacteria, it is degraded by hydrochloric acid and enzymes to amino acids, provided that we have a proper pH of the stomach. If the pH is not correct decay takes place, decay bacteria and fungi multiply. In the event of a leaking digestive system, they get to the bloodstream. If there are little of them – immune disorders appear, if a lot – cysts and tumors occur.